Everything about a luxury, wild, exclusive and first class safari experience is epitomised in Botswana. It is the ultimate safari destination. Wildlife here is in a huge abundance, and the vast natural waterways attract a huge array of species, making phenomenal scenes of incomparable magnitude throughout the rest of Africa. From the eerie and timeless Makgadikgadi Salt Pan to the vivacious and luscious Okavango Delta, the variety of Botswana’s flora and fauna is immense. Naturally, the luxuries of choosing Botswana as your African destination do come at a cost – but a cost which is implemented in order to preserve the untouched and natural wilderness which makes Botswana so spectacular. The unique draw to Botswana can be cited in the way it operates its safaris. Botswana has avoided mass tourism by making its reserves completely private and exclusive. The huge luxury of this set up is that you are not bamboozled by a huge amount of vehicles. Instead, you - rather selfishly perhaps - have the magnificent African wildlife all to yourself to marvel at and enjoy. Botswana also has a huge draw of being a truly safe, welcoming and beautiful country with extremely low crime rates in comparison to the rest of Africa. Everything about a safari to Botswana is both luxurious and authentic. It is a completely one of a kind African country, and if you are lucky enough to be able to afford it then it will prove to be a trip of a lifetime. Home to the greatest natural event on the planet, the Serengeti’s infamous Great Wildebeest Migration, Tanzania is a remarkable country with a unique charisma and an array of natural wonders. Even without the 2 million wildebeest which roam the Serengeti, this fierce and spirited park is one of the most animal dense areas on the planet. As well at the Great Migration, the Ngorongoro Crater is a magnificent hub of wildlife action and majestic scenes – it is no surprise that it is the 8th wonder of the world. Step just outside the Crater’s rim, and fall into rolling hills and luscious farmlands filled with coffee plantations and vibrant scenes of Masai culture. Southern Tanzania is a real African outback experience and is home to a park the size of Switzerland – the Selous. Tanzania’s Switzerland also boasts a huge amount of wildlife which roam freely across this vast and biodiverse part of the world. 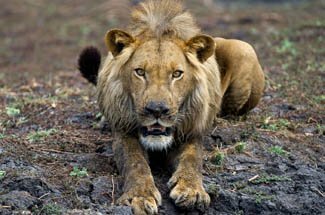 Go west to find Ruaha’s famous huge lion prides, and west again to visit the rare chimps in the isolated and adventurous Mahale Mountains. Satisfied from miraculous game viewing, tourists take a short hop in an aeroplane to find Tanzania also offers sparkling white beaches, delicious sea food and an enticing paradox of hustle and calm in the flamboyant island of Arabic Zanzibar. Tanzania’s safari experience is typical of its culture – welcoming to all, filled with colourful variety and accompanied by a true zest for life; making Tanzania a truly unique destination. The central highlands are jaw dropingly beautiful whether you are walking around an ancient Inca fortress, cycling through the sleepy traditional farming communities or relaxing at a world class hotel with view over the snow-capped volcanoes, whatever you are doing you can’t help but love it all. In the east is the untamed and biodiverse Amazon Rainforest which offers escapism, unrivalled wildlife viewing and a unique experience of this environment. Lima, the capital city on the western Pacific, has some of the continents best museums and world class restaurants. Clearly, there is something for everyone in this bio-diverse jigsaw of culture, history and wildlife. Machu Picchu cannot be ignored as the beating heart of Peru’s cultural and historical intrigue. The magical ancient citadel that is Machu Picchu really encapsulates the rich and mysterious history of the Incas. 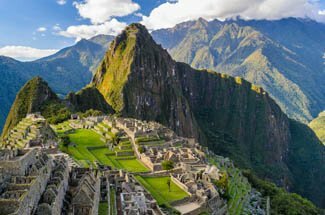 Nowadays, expect to be greeted with warm affections by the charismatic locals who call Peru home; an added charm to this already intriguing and diverse South American country. No place is quite like the Galapagos Islands. It is no wonder that Charles Darwin took inspiration in his theory of evolution from the sheer spectacle it projects onto anyone who is lucky enough to experience it. From on land to under water, the sheer vibrancy of marine and wildlife here is unparalleled. It could be described as the nucleus of the natural world – timeless, untouched and completely alive. The aspect of a trip to the Galapagos Islands which makes it completely unique, is that because of isolation from the rest of the man-made world, these animals are not phased at all by human presence as they have no natural fear of us. Close proximity to the wildlife here is therefore a huge excitement to the avid safari-goer. The best way to travel around the Galapagos is on a small and intimate boat – where else could be better to take a 7 day cruise? Goggle at the vibrant life which surrounds you whilst hopping from one island to another; all completely unique to each other due to small evolutionary alterations in species from one to the next. Get lost in the natural world 100 miles from Ecuador’s mainland on an adventure of a lifetime. Combinable with a wider South America trip, this is a real must-see if you have the time and budget and of course, a fascination with the natural world. A leafy paradise of huge biodiversity surrounded by golden shores, and textured with towering volcanoes all through the country means Costa Rica has it all from a holiday-goer’s perspective. You can zip wire through tropical forests, be mesmerised by the quirky wildlife all around, simply relax on the beach with a Mojito in hand, and even go whale watching and enjoy the wildlife which lies under the glossy turquoise Indian Ocean surface. For honeymooners and families alike, Costa Rica should be on everyone’s hit list. The areas are as much as diverse as the activities they offer. Hop over to Tortuguero for a wakeup call with a difference as howler monkeys replace your alarm clock, and where there is life in and around every tree. For the adrenaline junkies, Arenal is your place – home to volcanoes, waterfalls, forests and hot springs, there is so many ways to explore this lively and interesting region. Or, for something completely different, then the Osa Peninsula will give you all the rest and relaxation you will need – the wild tip of Costa Rica is beautiful as it is remote and is the perfect location for complete recuperation. Once you have explored Costa Rica at any pace you choose, and in any which way you prefer, one thing is certain… you will leave wanting more. Argentina seems to envelop everything you could want in a holiday destination. With a cultural history, some of the best food and wine in the Americas, the wild, unruly and stunning Patagonia and the lively, vibrant and truly captivating Buenos Aires; if you want to go to a country that has it all, Argentina is your man. Bueno’s Aires has so much to offer with Tango dancing down every street and romance in every stone; it is an exceptional city destination. Get a taste of the unique atmosphere of the city through the rich smokey barbequed meats, and the bold wines which can be enjoyed pretty much anywhere you stay! Go on to the Pampas, and see where the unique Argentinian culture all came from by acting the cowboy for a few days in the outback, or simply hop down to the vast Patagonia to see the natural world in all its glory. Chile is an extraordinary country. It stretches out like a ribbon separating the Southern Pacific and the dramatic Andes. Although it is a thin country, the layout of Chile means it is extremely diverse and absolutely fascinating. The natural landscapes are truly wondrous, and it is definitely a destination for the nature and landscape lovers out there, with the mighty Patagonia and also the Valley of the Moon, which (as the Atacama Desert’s nickname suggests) is a completely unique and enchanting environment. Another perk of Chile is that it’s infrastructure is good, which means the lodges and hotels are of a very high quality – an added bonus to what is, even if you were staying in a tent, an absolutely bewitching country filled with intrigue and beauty. The atmosphere of the culture is warm, welcoming and friendly so you will leave a Chilean adventure not only satisfied by the incredible places you’ve visited and the delicious wine you’ve tasted, but by the unique feeling of being in such a remarkable country. India is so vast and diverse, that you should not try to see it all in one trip! It could be seen as a collection of culturally and historically diverse nations, making up one huge canvas of colour and intrigue. It is easy to be diverted by every attraction India offers, from the magnificent Begnal tiger safari experience, to the collision of new world and old colonial history in the thriving capital, Delhi or the glamorous Bollywood sparkle of Mumbai – there is so much on show in India, but you must decide to really immerse yourself in one aspect of it… do less, and then book a return trip and you will make the most out of this fascinating country. Points of interest vary so much, that anyone in the world could find a trip they are gripped by in India. From the first village communities to settle around 10,000 years ago to the European colonial period, and through to independence in 1947, India’s rich history has given birth to a huge variety and array of religions and cultures to be explored throughout this immense country. 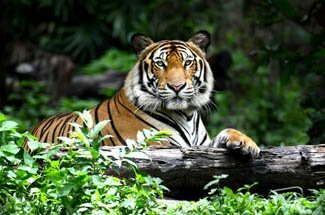 Aside from the people, cultures and enterprise, India is also home to some absolutely sublime scenes of natural beauty and surprisingly maybe to some, has some of the most animal dense areas on the planet with Pench National Park which inspired Kipling to write ‘The Jungle Book’. It is not hard to get lost in your imagination in this spectacular and vibrant country. Fantastically diverse and absolutely stunning, Vietnam offers everything you could want from a holiday destination whether you are an adventurer, beach lounger, history enthusiast, keen foodie or just a sucker for dramatic scenery – Vietnam will cater to your every need. From North to South, whatever you are doing, you cannot escape the beautiful scenery. From the misty mysterious turquoise Halong Bay down to the Rice Bowl of Vietnam, the mighty Mekong Delta which boasts enchanting green canals which flow out of the country. For a cultural tour of Vietnam, you can do an unbelievable round trip which ticks all your curiosity boxes. The Mekong Delta, aside from its beauty, is alive with the bustle of the local markets and traders, which gives you a distinct and unique insight into the local way of life. Moving on to Saigon where the history enthusiast will be most appeased, with an array of interesting architecture, museums and draped with Vietnamese charm. Make your way to Hoi An and be sucked into its enchanting timeless cobbled streets – a really captivating, quaint town with bundles of character and history. Finish your tour rather off the beaten track at Sapa, where you can find the indigenous mountain tribes – the ultimate slice of preserved and untouched Vietnam. Whatever your interest may be, Vietnam will cater for it. Japan is the ultimate blend of old and new. Ancient history stands side by side with the front line of the world’s innovation, making Japan is an extremely interesting country to visit. The collision of old and new is epitomised in centre of the country with Honshu Island, where ancient mountains and temples stand determined at the foot of huge sky scrapers. Once you have had your fill of wonderment at this clash of the centuries, you can escape by to the many national parks dotted around the country for your slice of relaxation and peacefulness. The beauty of Japan is that one day, you can be in the centre of the earth in the vibrant and neurotic Tokyo, and the next you can be strolling through a peaceful canvas of rolling hills, smouldering views and embracing the Japanese village way of life. The diversity of Japan is spectacular. In the northern island of Hokkaido, the cooler climate accommodates excellent skiing in the winter – a surprising addition to a tour of Japan. This area really comes to life in the winter, with a huge amount of festivities such as Sapporo Snow festival, where the city is invaded by ice sculptures – a really unique and mesmerising sight. Japan is one of those destinations where the people will charm you, the culture will amaze you and the mosaic of diverse experiences will always leave you wanting more.